MAME, created in 1997 by Nicola Salmoria is an emulator for arcade machines (coin-op) developed by an international team (http://www.mamedev.org) and updated almost weekly with the addition of new games, alternate versions, versions nazioanli, clones, etc. Some of these are currently marked as "not working", but what you fail to emulate today, with the commitment of so many great programmers, tomorrow it will be for sure. 04/21/2019: Online the 0.208 update of MAME resources. Available this month only for: Snapshots and Artwork (Original and Alternate). 03/17/2019: Online the 0.207 update of MAME resources; update packages for the Snapshots, Artwork (Original and Alternate) and Marquees. 02/17/2019: Online the 0.206 update of MAME resources. Available this month for: Snapshots, Cabinets, Control Panels, Flyers, Extended Icons and Artwork (Original, Alternate and WideScreen). 01/20/2019: Online the 0.205 update of MAME resources; update packages for the Snapshots, Artwork (Original, Alternate and WideScreen),Flyers, Marquees and Soundtracks. 12/16/2018: Online the 0.204 update of MAME resources; update packages for the Snapshots and Cabinets, Control Panel, Icon Extended, Flyers and Manuals. 11/18/2018: Online the 0.203 update of MAME resources. Available this month for: Snapshots, Flyers, and Artwork (Original, Alternate and WideScreen). 10/21/2018: Online the 0.202 update of MAME resources; update packages for the Snapshots and Cabinets, Control Panel, Covers, Devices, Icon Extended, Manuals, Marquees, PCB and VideoSnaps. 09/16/2018: Online the 0.201 update of MAME resources. Available this month for: Snapshots, Soundtrack and VideoSnaps. 08/19/2018: Online the 0.200 update of MAME resources. Available this month for: Artwork (Altenate), Artwork (WideScreen), Flyers, Marquees and Snapshots. 08/01/2018: Online the 0.199 versions of my MAME Support Files: Category.ini, CatVer.ini, Languages.ini, Series.ini, renameSET.dat, MESS-Info.dat and Version.ini. 06/17/2018: Online the 0.198 update of MAME resources. Available this month for: Snapshots, Artwork (Original and Others), Cabinets and Icon Extended. 07/15/2018: Online the 0.199 update of MAME resources. Available this month for: Snapshots and Artwork (WideScreen). 06/02/2018: Online the 0.198 versions of my MAME Support Files: Category.ini, CatVer.ini, Languages.ini, Series.ini, BestGames.ini, renameSET.dat, MESS-Info.dat and Version.ini. 05/20/2018: Online the 0.197 update of MAME resources. Available this month for: Snapshots, Artwork (Original and Alternate) and Marquees. 04/28/2018: Online the 0.197 versions of my MAME Support Files: Category.ini, CatVer.ini, Languages.ini, Series.ini, BestGames.ini, renameSET.dat, MESS-Info.dat and Version.ini. 04/15/2018: Online the 0.196 update of MAME resources. Available for: CatVer.ini, Languages.ini, Series.ini, BestGames.ini, renameSET.dat, messinfo.dat. Online update packages for the Snapshots and Artwork (Original and WideScreen), Marquees and Soundtrack. 03/18/2018: Online the 0.195 update of MAME resources. Available for: CatVer.ini, Languages.ini, Series.ini, BestGames.ini, renameSET.dat, messinfo.dat. Online update packages for the Snapshots and Artwork (original), Cabinets, Icon Extended, Manuals, Marquees and VideoSnaps. 02/18/2018: Online the 0.194 update of MAME resources. Available for: Snapshots and Artwork (original). 02/13/2018: Online the 0.194 update of Snap and Titles for ARCADE 32/64 emulator. Download here: Arcade Emulator page. 02/04/2018: Online the 0.194 version of my MAME Support Files: Category.ini, CatVer.ini, Languages.ini, Series.ini, BestGames.ini, renameSET.dat, MESS-Info.dat and Version.ini. 01/21/2018: Online the 0.193 update of MAME resources. Available for: CatVer.ini, Languages.ini, Series.ini, BestGames.ini, renameSET.dat, messinfo.dat. Online update packages for the Snapshots and Artwork (original), Cabinets, Control Panel, Icon Extended, Marquees, PCB and Soundtrack. 12/17/2017: Online the Christmas update 0.192 of MAME resources. Available for: CatVer.ini, Languages.ini, Series.ini, BestGames.ini, renameSET.dat, messinfo.dat. Online update packages for the Snapshots and Artwork, Cabinets, Control Panel, Flyers, Icon Extended, Manuals and Marquees. Happy holidays to everyone! 11/19/2017: Online the update 0.191 of MAME resources. Available for: CatVer.ini, Languages.ini, Series.ini, BestGames.ini, renameSET.dat, messinfo.dat. Online update packages for the Snapshots (for MAME and some Software List) and Artwork, Marquees and Soundtrack. 10/15/2017: Online the update 0.190 of MAME resources. Available for: CatVer.ini, Languages.ini, Series.ini, BestGames.ini, renameSET.dat, messinfo.dat. Online update packages for the Snapshots (for MAME and some Software List) and Artwork, Cabinets, Control Panel, Devices, Icons, Manuals, Marquees, Samples, Soundtrack and VideoSnaps. 09/17/2017: Online the update 0.189 of MAME resources. Available for: CatVer.ini, Languages.ini, Series.ini, BestGames.ini, renameSET.dat, messinfo.dat. Online update packages for the Snapshots (for MAME and some Software List) and Artwork and Manuals. 08/20/2017: Online the update 0.188 of MAME resources. Available for: CatVer.ini, Languages.ini, Series.ini, BestGames.ini, renameSET.dat, gameinit.dat, messinfo.dat. Online update packages for the Snapshots and Cabinets, , Icons, Marquees, PCB and VideoSnaps. 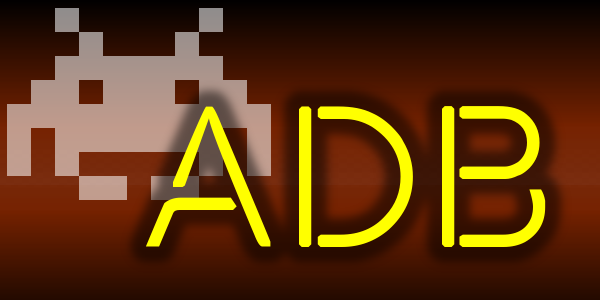 Also added a new category of resources: Soundtrack, with mp3 music and FX of arcade games. 07/26/2017: Added to the Samples page the new ptrmj.zip, added by version 0.188 of MAME. 07/16/2017: Online the update 0.187 of MAME resources. Available for: CatVer.ini, Languages.ini, Series.ini, BestGames.ini, renameSET.dat, gameinit.dat, messinfo.dat. Online update packages for the Snapshots and Cabinets, Devices, Icons, Manuals and Marquees. 06/18/2017: Online the update 0.186 of MAME resources. Available for: CatVer.ini, Languages.ini, Series.ini, BestGames.ini, renameSET.dat, gameinit.dat, messinfo.dat. Online update packages for the Snapshots (for MAME and ARCADE). 05/21/2017: Online the complete update 0.185 of MAME resources. Available for: CatVer.ini, Languages.ini, Series.ini, BestGames.ini, renameSET.dat, gameinit.dat, messinfo.dat. Online update packages for the Snapshots (for MAME, HBMAME, ARCADE and Software List) and Cabinets, Control Panels, Flyers, Icons, Marquees, PCB and VideoSnaps. 05/10/2017: The "Full-Set" packages of the Cabinet, Marquee and PCB collections are momentarily offline waiting for the new packages, available from May 21st. 04/26/2017: Online the new "nsub" sample, available here: MAME Samples page. 04/16/2017: Online the update 0.184 of MAME resources. Available for: CatVer.ini, Languages.ini, Series.ini, BestGames.ini, renameSET.dat, gameinit.dat, messinfo.dat. Online update packages for the Snapshots (for MAME, HBMAME and ARCADE). 03/19/2017: Online the update 0.183 of MAME resources. Available for: CatVer.ini, Languages.ini, Series.ini, BestGames.ini, renameSET.dat, gameinit.dat, messinfo.dat. Online update packages for the Snapshots (for MAME, HBMAME and Software List) and Cabinets, Control Panels, Devices, Flyers, Icons, Marquees and Manuals. 02/12/2017: Online the update 0.182 of MAME resources. Available for: CatVer.ini, Languages.ini, Series.ini, BestGames.ini, renameSET.dat, gameinit.dat, messinfo.dat. Online update packages for the Snapshots (for MAME, HBMAME and Software List) and Cabinets, Control Panels, Devices, Flyers, Icons, Marquees, Manuals, PCBs and VideoSnaps. 01/15/2017: Online the first 2017 update of MAME resources (0.181). Available for: CatVer.ini, Languages.ini, Series.ini, renameSET.dat, messinfo.dat. Online update packages for the Snapshots (MAME and HBMAME) and Artworks.